Leading Edge Landscapes helps you envision the outdoor living space you have always wanted. Whether you are looking to entertain, relax, enjoy evening bonfires or spruce up your yard with more flowers, bushes and variety, we can help. Here is a look at a few landscaping ideas that can get you to start envisioning your weekends grilling, gardening and sipping a cool drink. This stone retaining wall works well for any yard. It’s the perfect way to add bushes, flowers and decorative trees. And, if this look works for you, but you need a walk way, we can incorporate that into this landscape design. 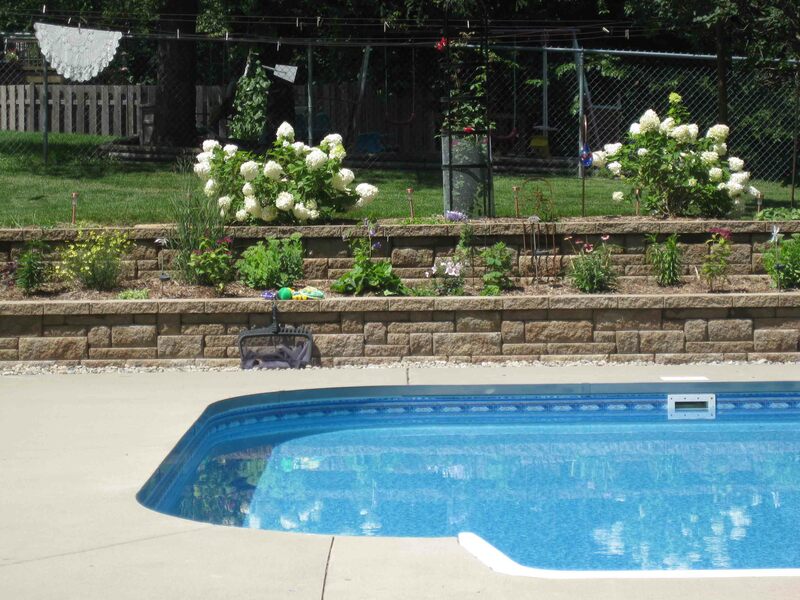 Other landscaping ideas include doing a paver patio with a free standing wall. 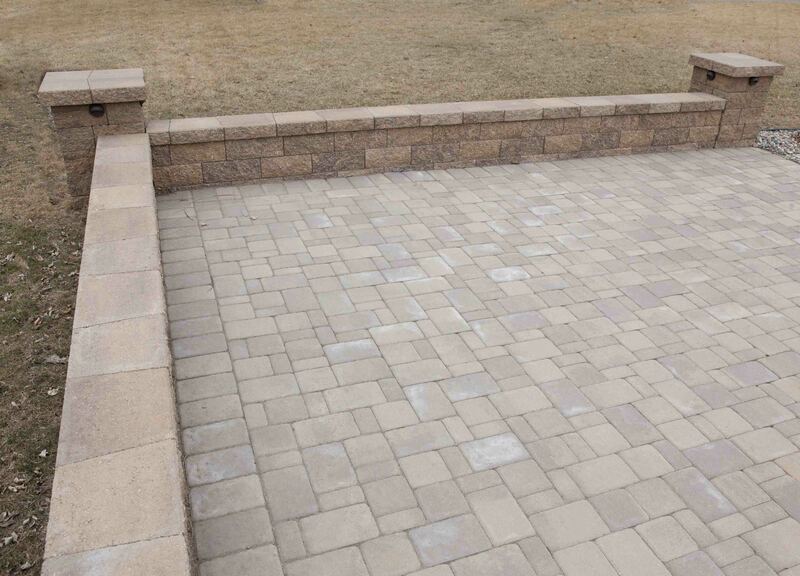 This is one of our most popular designs because of the durability of a paver patio and the functionality. It’s a classic look and one our customers are always pleased with! 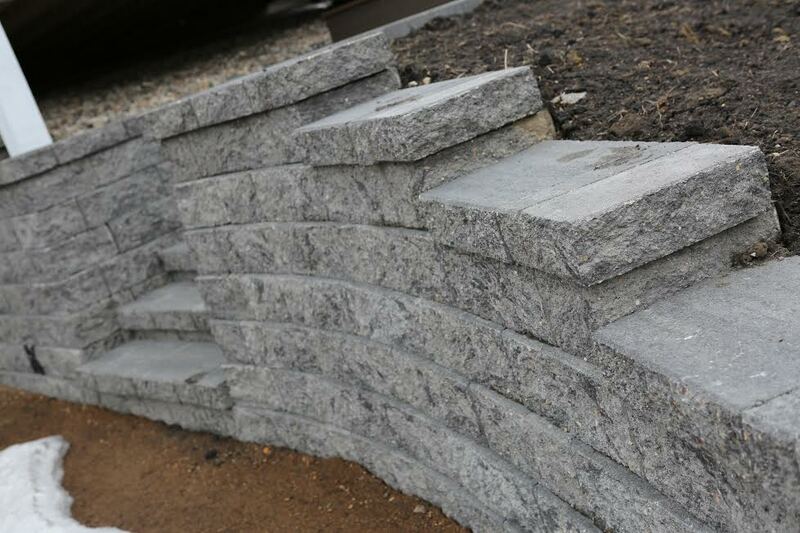 This retaining wall idea incorporates steps. It’s a crisp look and once bushes and flowers are added, it will really enhance the new architecture. We hope these landscaping ideas helped inspire your vision. We are looking forward to working with you to design the outdoor living space you want. Also, if you don’t know exactly what you want, we will help with our professional experience. Contact Andy Budahn today at 507-276-8142 to set up a personal meeting with him.